The Senate’s tax reform bill takes a significant step toward fulfilling our promise to provide tax relief for American families across our country. I am particularly proud of three specific items that I fought aggressively to include. Parents who send their children to special schools were given tax breaks in his amendment, the repeal of the Affordable Care Act’s individual mandate and the inclusion of a state and local tax deduction. 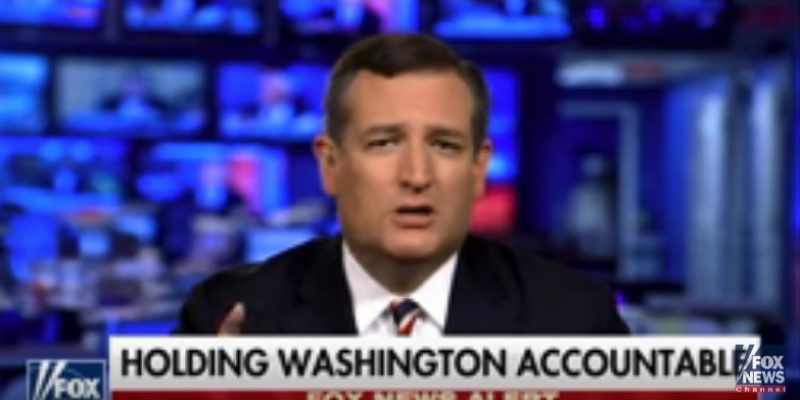 Additionally, Cruz helped push through the repeal of the Affordable Care Act’s individual mandate, and to get rid of a provision that some members of his party were considering that called for automatically raising taxes if the tax plan didn’t meet revenue goals. Under this tax bill, TX taxpayers will be able to write off up to $10,000 in property taxes, a measure I fought to maintain. Further, it includes my #StudentOpportunityAmendment, which prioritizes education of the next generation by expanding 529 savings plans for K-12 students. For more on his amendment go here.